When selling a home, most sellers consider remodeling and adding upgrades. Most often, they consider redoing the kitchen, the master bathroom, the landscaping, or adding a porch. USA Today reported in 2012 that making energy-efficient upgrades to your home can lead to a nine percent higher resale value. If you’re selling your Bellaire, Texas, home, consider some of these efficiency upgrades that help to increase your home’s value and reduce energy waste. Your home’s envelope is the walls, door, and windows that keep the cool indoor air in and the hot air of the outside world out. One of the simplest and most cost-effective energy-efficient upgrades you can undertake is to seal your home’s envelope. This includes replacing the seals around your doors and windows, checking siding, and inspecting insulation. Just these small changes can save money on your energy bill and increase your home’s resale value. One improvement that will increase your home’s energy efficiency and recoup most of its price is to add insulation where it is needed. The attic is a good place to start as a lot of conditioned air can be lost to this area. Our technicians can help you to determine the best type of insulation for your home, where insulation is needed, and just how much should be added. Properly installed insulation will help to lower your monthly energy bills. If you have to update any appliances or install a new HVAC system before selling your home, be sure to look into energy-efficient appliances. Some states even offer tax incentives for installing energy-efficient appliances. Adding a programmable thermostat can also lower energy costs. The 2015 National Association of REALTORS® Home Buyer and Seller Generational Trends Report found that 36 percent of all home buyers thought about heating and cooling costs when buying a home. When planning to sell your home, be sure to take this in mind and consider sealing your home’s envelope, improving insulation, and choosing energy-efficient appliances. 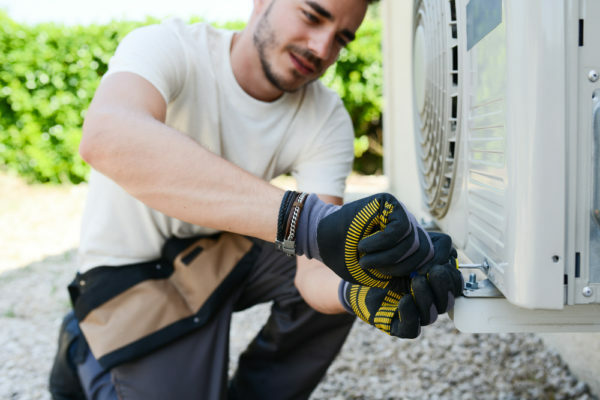 If you’re ready to have an energy efficiency check for your home, give Conditioned Air TX a call today at 281-201-0356 to set up an appointment.